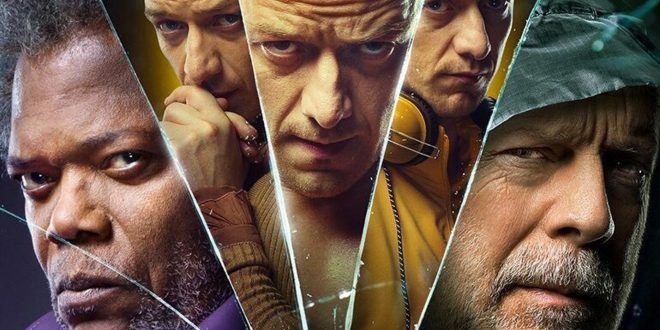 Glass is the direct sequel to Split also inhabiting the same shared universe as Unbreakable. Bruce Willis, returns as David Dunn / The Overseer reprising his role as the Unbreakable hero from the film 19 years earlier. Willis almost looks like he gives a crap in this movie but his dialogue and scenes are oddly kept to a minimum so you don’t get much development although it is hinted at. 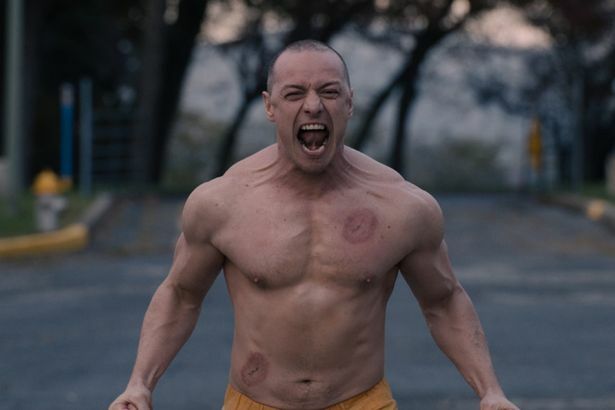 James McAvoy steals the show as Kevin Wendell Crumb / The Horde. He plays nearly a dozen different personalities in this movie and acts each of them so convincingly different to the last. If nothing else McAvoy is worth seeing. 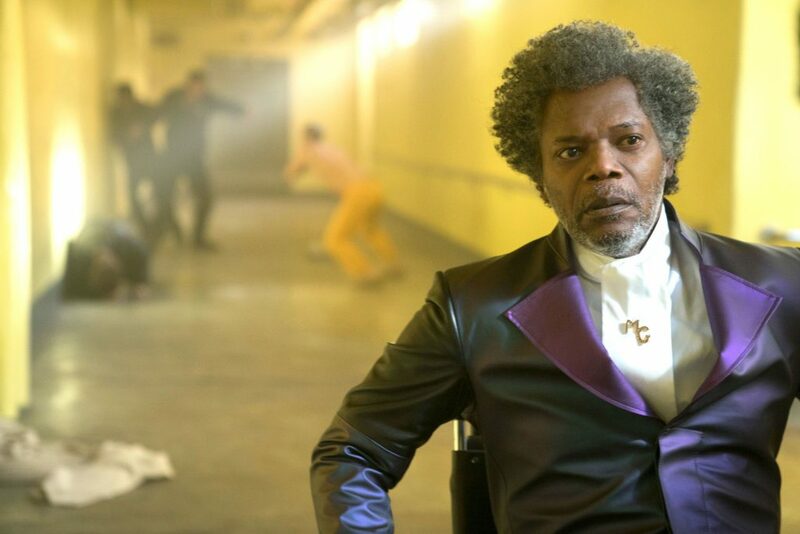 Samuel L Jackson plays the title character Elijah Price / Mr Glass the criminal mastermind with brittle bones. Jackson is full of menace in the role but like any movie monster is more of an unseen presence for the majority of the movie. When Mr Glass is in full effect he is awesome. Spencer Treat Clark as Joseph Dunn playing the same character 19 years on is a really great move instead of recasting him. It brings a feeling of continuity to the films and deepens the relationship between Joseph and his dad. 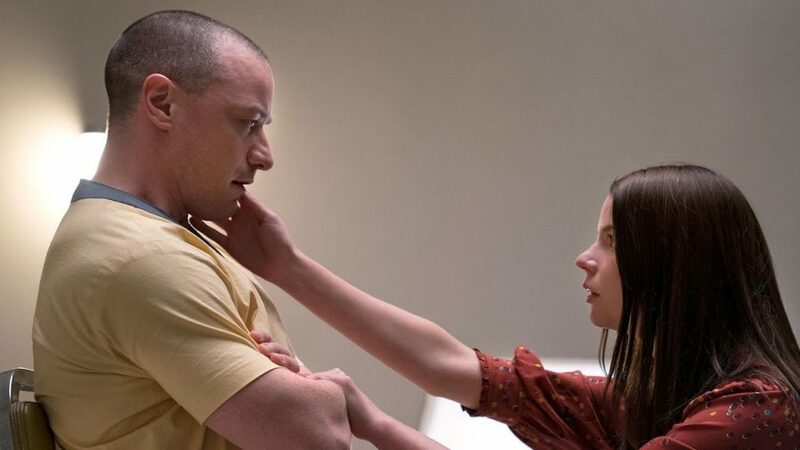 Anya Taylor-Joy (The girl with the Anime eyes) also returns as Casey Cooke the survivor girl from Split has a deep connection with James McAvoy’s The Horde. Casey’s experiences surviving her kidnapping gave her the strength to survive trauma in her life. 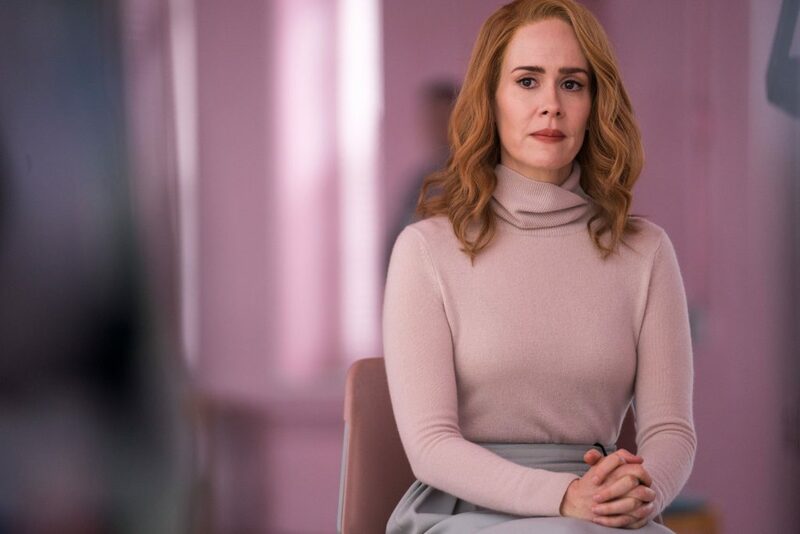 Sarah Paulson is at her creepy best as psychiatrist Dr Ellie Staple an expert in delusions of grandeur which she believes the Superhero/Villain line up all suffer from. Glass expands the real life superheroes from Unbreakable and Split, while keeping them grounded in reality. 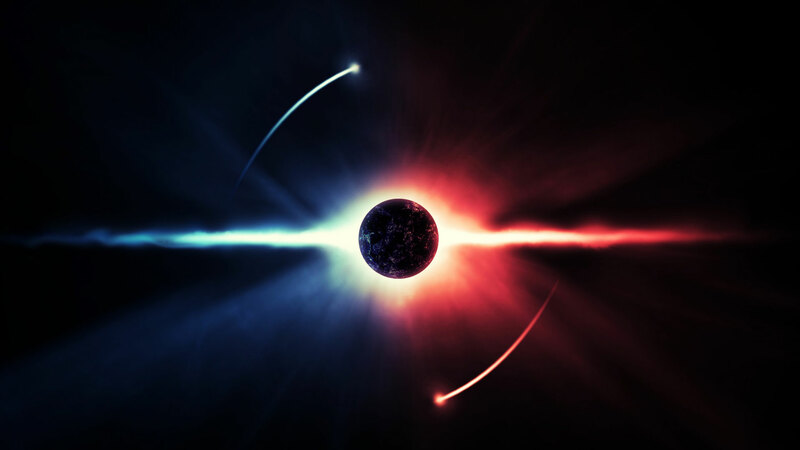 Reality seems to be a major theme in Glass, it presses home the uncertainty on whether they have superpowers or just a very advanced case of fake it till you make it. It brings the main characters together in captivity to be “cured” of their delusion or die trying. 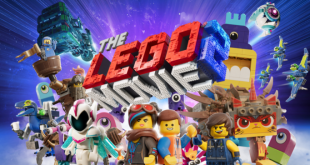 Huge warning on this one you really need to have seen the other films as it hits the backstory pretty hard and might not be entirely clear on who or how some of the characters are involved with the backstory. I’ve seen both prior films but felt I needed a refresher before seeing Glass. Bruce Willis doesn’t really have a lot to do acting wise, he’s okay but he is so low key he feels like he’s barely in the movie. Although his characters name is the title Samuel L Jackson is mostly absent for the majority of the movie, although when he kicks in it makes more of a splash, but don’t expect it to be following his every move. 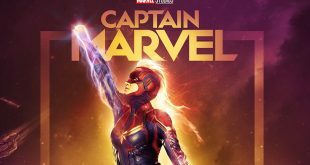 The pacing in this movie is definitely not the Avengers, if you are fine with a psychological thriller/drama you can deal with it, just don’t expect it to be a standard superhero film. 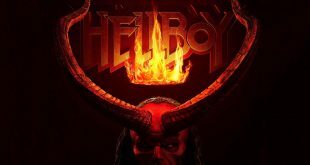 The twist at the end gets wayyyy too Scooby-Do for my liking and was really unnecessary, it could have been removed from the movie and it would have made no difference to the plot. Charlayne Woodard’s old lady makeup is terribly obvious and falls far into the uncanny valley, I get the need to bring back the original cast but it really didn’t work here. James McAvoy is off his bloody head in this. It is seriously amazing him flipping personalities like channels on a tv or when he’s in full beast mode climbing up the walls and flipping cop cars. I’d happily just watch a series of movies with him playing all the characters. The connecting threads between all 3 movies especially after all this time, there are even deleted scenes from Unbreakable which are featured in a new context in Glass. Using returning cast from earlier films instead of recasting, the attention to the film series details is really admirable. Once the main characters are brought together they play so well off another you really don’t want it to end. 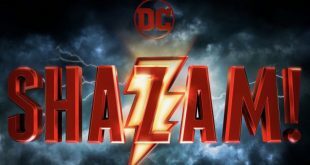 The action scenes although sparse really connect in a way that regular Superhero films don’t as you have the suspension of disbelief when watching something by Marvel or DC. The majority of Glass is so low key when it kicks off its quite epic. 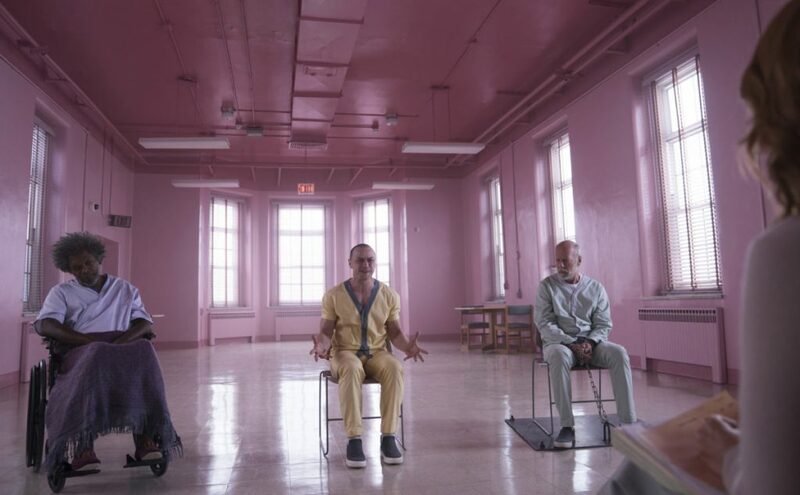 Glass is the movie that gets the band back together again. I would have to put this film in the Good M. Night movies pile. M Night Shyamalan has taken many risks during his career some have paid off, some haven’t but I respect the hell out of him for self funding and producing films he wants to make. Aren’t a fan of M. Night and his twists. Expect an action packed movie. Don’t like superhero movies no matter how they are framed. 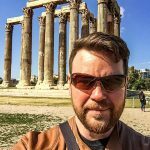 Want a stand alone film without having to have seen the others.